Forums » General Discussion » Technical Questions » Preout voltage vs amplifier input sensitivity? #409577 - 01/18/15 02:03 PM Preout voltage vs amplifier input sensitivity? I have an AVR capable of max preout voltage of 6v rms. Nominal is stated as 1v rms. It will be connected to 3 external amplifier channels with an input sensitivity of 311mv for max output. They will be used for the left/center/right speakers. 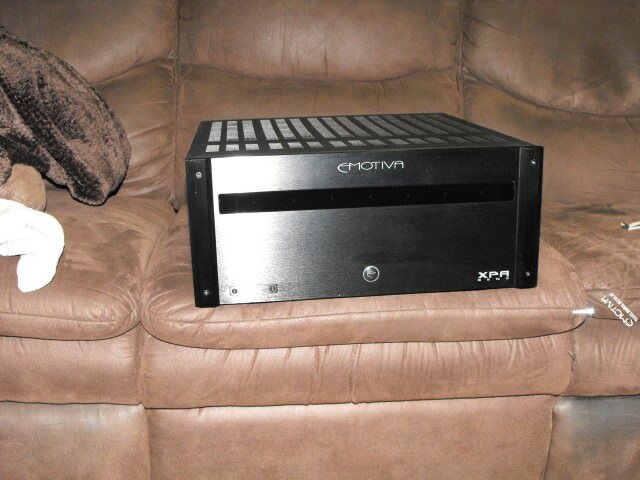 The AVR will handle the rest of the channels in the surround system. Is the great difference between ouput voltage vs input sensitivity going to cause volume/trim issues between the onboard vs external powered speakers? I dont want to run the L/C/R preouts at -10 to match the onboard amplification. Am I screwed up at how I'm thinking of this? I found This to be easy to understand for a simple explanation. I read the article back when I was buying my first home amp. Car amps have variable input gain so I had to study up a bit. Ok, I see the formula used equates to a voltage gain of 35.49 for the external amps. Seems really high. The manual states a max dc offset of 15mv. Whatever that means. 148w into 8 ohms. 285 into 4 ohms. From .311v input. Crazy. According to the article this setup might be on the verge of too much of a good thing. I may be approaching my AVR preamp noise floor to make the external amp work out. How does anyone elses setup compare? Yes that is quite high and may cause the preamp to introduce noise into the signal, especially with very sensitive speakers. Ok, I'm not so concerned now after the 2nd article. Seems the nominal 1V output is perfectly fine for the input sensitivity. I just got hung up on the 6v max figure. That must be with the trim level at +10 or so. In any case, I wont know until I try. ... In any case, I wont know until I try. Hey, at least you know you don't need to turn it up to 11 to blow the roof off. Let us know how it goes. Hopefully they will maintain an equal volume level as things get turned up.